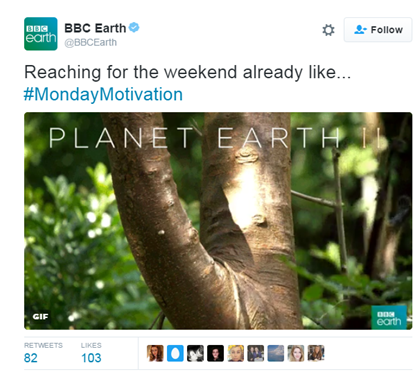 Do Hashtags on Social Media Platform maximize the effectiveness? Each one of social media platforms has its own rules and hence, we shouldn’t apply hashtag strategy everywhere. Check out your competitor’s social media profile and see the hashtags they are using. Use hashtags that influential people in your industry are using. Don’t forget to add a caption in your post. Think of your audience & be relevant while using the hashtags. Don’t use spaces in between the hashtags. If you have multiple hashtags in your words, group them all together. The best way to differentiate between the words is use of capital letters #MondayMotivation instead of #Monday Motivation or #Monday #Motivation. 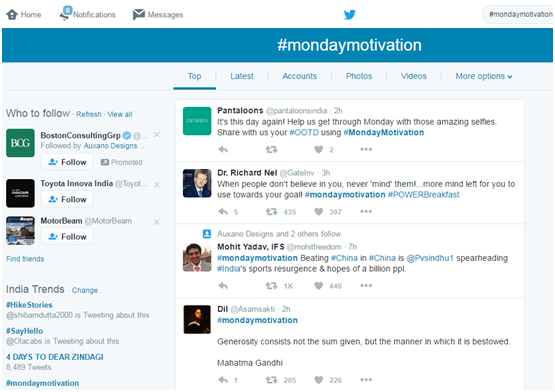 So audience who are searching for #MondayMotivation will yield the same results as #mondaymotivation. Instagram is a social platform in which one is free to use as many hashtags in a post as one wants. But it is not a good practice to use a great number of hashtags. It gives you the liberty to expand your audience for your post in order to reach out to the target audience. Using a hashtag in a post on Instagram, ties up the conversations of different users into one stream. For example, you have taken a picture and you want to see the pictures similar to that, so with the help of hashtags it creates a link between the pages with other pictures of the same subject. Important Note : Use Instagram search “Tags” tab function & browse related best hashtags for your post. There is no limit in characters and one can add up to 30 hashtags in a post. 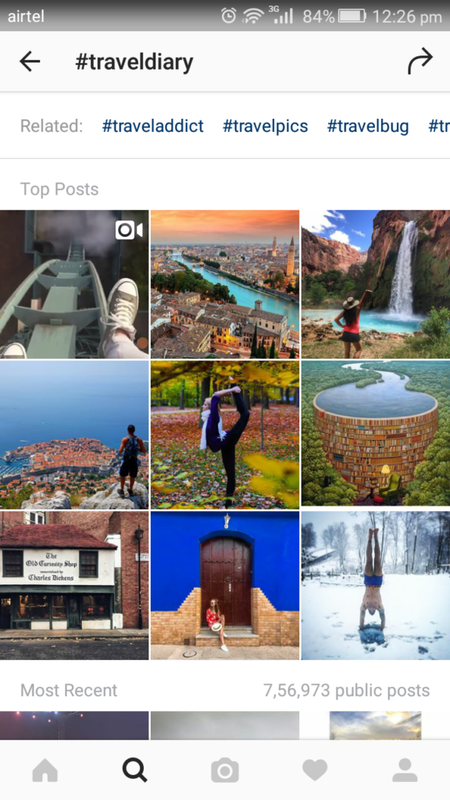 The right use of hashtags in Instagram post can increase reach and engagement. Facebook may not be the well-liked platform to use hashtags, but it also helps to increase the audience’s engagement & interest. It makes it easier for people to find more about brands, events, and promotions. There is no restriction of using the number of hashtags in a post but it has been observed that the use of more than 5 hashtags in a post on Facebook can cause a drop in the engagement. In Facebook, there is no way to search for any hashtags in the search field. Whatever you do, you will end up landing on Facebook pages, instead of a hashtag result. Hashtags help online marketers to see the potential of increasing brand recognition and extending business reach among the audience. Small business owners have an opportunity to use hashtags which can drive traffic to their pages. All those who are new to online marketing; they should make sure not to make common mistakes like a new marketer may do. Don’t use too many hashtags because it may lead to fewer interactions. Don’t use irrelevant hashtags which may look like spam. One can promote his/her business by using trending hashtags in one’s FB post. For online marketers, hashtags have become a great way to track the campaigns which allow people to see directly how and what others are talking about their brand.You can easily find the various trending topics or hashtags on the top right-hand corner of your News Feed. Most of the people do so which results in spam post. The best practice is to use hashtags for special words which help in more engagement. Important note : If you are using hashtags on your personal FB profile, it may only be visible to the people on your list because it’ll still work according to the privacy settings of your profile. Simply using a hashtag doesn’t make that post suddenly public; it completely depends on your privacy settings. Twitter is the birthplace of modern hashtag usage. Hashtags are mainly used to signify specific topics of conversation on twitter. You can easily find the trending hashtags, in the left-hand corner of your Twitter account. We shouldn’t use too many hashtags in Twitter. After all, it has a limit of 140 characters which prevents users to use many hashtags in a post. However, Twitter has a potential to use 10 hashtags and still gain a limited engagement. But the best practice is not to use more than 2 hashtags at a time. 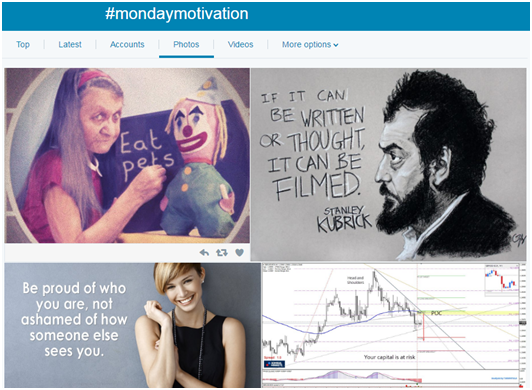 So, we search for #MondayMotivation on Twitter then, most of the good stuff takes place in the center of that page. As we can see, there are a few hashtag streams like Top (which is by default), Live, News, Photos, Videos and More Options. Top: You can get the most engagement tweet from influential people or brands that have a lot of followers. Latest: Live tweets from everyone who is tweeting out using that particular hashtag. Accounts: Accounts who have that hashtag in their Twitter profile. Photos: A bunch of photos which includes that hashtag in user’s tweet. Whenever you will hover mouse over a photo, you will see reply, retweet, or Like option at the bottom of that photo. Videos: A flow of tweets which has videos in them and using that hashtag. More Options: A dropdown menu that has a few great options. A good strategy is to use hashtags to get more attention to your tweet when people are searching for content through that hashtag. Use real-time marketing to look at the trending hashtags. Use of hashtags in Twitter bio allows you to be search-able. Hashtags are good to go! Hence, they’re a great way to increase your overall social media traffic. Viewable by anyone with an interest in your hashtags even those outside of your network. Expands your reach to anyone interested in that hashtags or phrase. We have seen numerous Google algorithm updates, but now Google has begun working upon encrypting all search queries entered by user, even for those users also who are not logged in. We also saw major changes in way ads are displayed in SERPs. In order to meet, today’s search requirements and collecting more conversions, strategies are need to be plan with unified SEO and PPC Campaigns. The success of any SEO campaign, entirely depends upon the keywords you have chosen for your website. It may take from months to an year to rank your website for your primary keywords. So if you ended up optimizing your website for a set of keywords which did not generate traffic and conversions to your website, then all your hardwork along with money you spent on it goes to drain. SEO mistakes may be more costly that it is better to run a relatively cheap PPC for testing your targeted keywords. I researched very hard for an educational website, and collected some 600 keywords of the website niche. Now, i wanted to explore whether these keywords are really worth to spent time and efforts to do SEO for them. By running a PPC campaign for 3-6 weeks, i got a fair idea about the keyword’s search volume and its conversion potential. From a PPC campaign, within few hours you can get what exactly people are typing in the search engines to reach to your website. It eliminates a lot of brainwork and brain storming while researching for keywords. Search term result reports are treasure of profitable and leading keywords. You will get an idea, which keywords are actually generating traffic and conversions to your website. You can determine long tail keywords by the PPC search results. Through PPC campaign, you can test upon hundreds and thousands of keywords for dozens of clients in few weeks and can get an idea which keyword and keyword variation will work well for the landing page. Should i optimize my website for brand keywords? Do people will choose my brand over my competitors? A PPC campaign may help to figure out that. Within few weeks of running a PPC campaign you will be able to assess the market value of your client’s brand. If non-branded term results in more conversions than the branded terms or if the branded keywords results into no or few conversions than your client has a serious branding issue. Through PPC campaign you can figure out which landing page is needed to redesign, which wording is compelling audience and which page version is delivering better results. PPC reports can help you in finding out the need of reconstruction and redesigning of landing page. It leads to increase in organic search of website since often people who clicked on the ad to visit your website, returns to your website via organic brand search. PPC actually improves the website’s SEO because it generates recordable ROI and conversions for the product. Seven points to remember to ignite your SEO – There have been a plenty of talks on web regarding Search Engine Optimization. How to do effective SEO has been came across as a trendy topic of 2016.If the things you follow in SEO has been done correctly,you will be at top of Google ;else your site may be penalized that may decay your ranking in Google. Today, I am disclosing the 7 important rules that a Search Engine Optimizer needs to possess. There are rare chances of webmasters who follow all the 7 rules but neither of these can be skipped in 2017 to maintain ranking on first page of Google. To obtain all the skills mentioned here, put all your efforts and time. The 7 rules that I personally believe should be possessed are explained below. Let’s have a look on it. Designers make eye-catchy designs with complex animations and flash hoping to attract their audience onto their sites. This is the most common mistake done by designers; actually it leads to decrease your site’s chances to rank higher in Google rating. The whole money, you have spent on designing and building the website, would be drained since nobody will reach to it. Reason being is Google‘s spiderbots crawl your site first to review and rank in Google. They use very complex algorithms for ranking a website. Some of the techniques of the designers are not acceptable by crawler and they exit right away from your site without bothering about to rank it. Built an optimized and Google friendly website with a professional design to make it worthy and easy-to-discover in Google . The second most important skill is using optimized HTML code. The actual HTML code should be Google and Spider-friendly. This skill takes a lot of time and experience to develop a spider-friendly website. Every part of the HTML code should be well optimized. You need to keep an eye on the algorithm updates also to calculate how high your website will rank in Google. Chunks of codes are added and removed while updating the site but every time you need to monitor the growth of rank. You will face high struggle to get your website in high ranking if you lack in understanding that how spiderbots work. Enrich your website with quality and unique content. Spiderbots love unique content rich websites. Fill your website with well constructed text. Some people try to fool bots by stuffing their content with keywords. Spiderbots are not easy to fool around, it will penalize your website and will degrade site’s ranking. I recommend everyone to copyright your website with high quality content. Impress your audience first by your content. Websites are made for humans; not only for spiderbots. The most important skill of SEO is Online Marketing for our product and services which we actually are doing. As off now, online marketing has been proved as very important part for enhancing business online. The key here is to enable your website easily searchable by your customers. It will lead to better business opportunities. Marketing Skills require a brief introduction and knowledge of the business, what they actually trying to sell and an understanding of what search results are given. The next important rule is Building an Error and Bug free website. A single error in an URL will lead to Page Not Found error to website’s visitors, which results in a bad impact of website. Spiderbots do not crawl an erroneous webpage. We have recently discovered a very complex HTML validator tool that picks and flags any error in HTML, even from SEO companies. It really takes time. Some designers and developers make changes to web pages daily and expect that they can track growth in web page ranking on next day. We suggest to our clients, run a small campaign for 6 months on the website and wait for true judgment of effective work on it. The last but not the least skill is an deep understanding of skills that how the search engine and algorithms work. People who have knowledge of detailed system of search engine optimization will come with a natural feeling for how spiderbot will crawl the web page , what they will search for and what tables they make. This skill is not easy to acquire, since it takes years of experience in Digital Marketing and SEO. SEO has become an instinctive purpose of marketing for all types of businesses either it’s a professional service firm or an enterprise solutions provider. In today’s time, many companies are still struggling to amalgamate SEO successfully into their digital marketing efforts. All the startup companies have eaten businesses for all the popular industries. Nowadays, everybody wants to do SEO, everybody wants to go for Digital Marketing to sustain in the business world. SEO has become mandatory marketing outlet which results in more and more qualified leads, customers and ultimately, more business. So, now the question is what does all you need to take further a strong SEO campaign? In my career, I have seen that many small businesses are afraid of doing SEO that may be because of money or something else. But SEO is the key to success for Google organic results which can take up your website with leading to quality outcomes. The biggest selling point in terms of SEO or related digital marketing tasks is going with the tools that can help you in optimizing your website better and also we can help in building up your brand with quality leads. Let me take you to the five essential tools which can help in making your SEO investment a fruitful one. Ahrefs is a tool which is used for Keyword Research which is essential and most important step while going forward because quality research is all about your goals and desires of your target audience. Ahrefs has a refurbished Keywords Research/Explorer tool which can track a base of 2.8 billion keywords at a time which further can help you to get more valuable insights. It also gives you a basic idea with small details about how, when and where people are using these search terms. SEMrush is a tool which is used for Competitor Analysis. By using this tool you can go for a quality analysis of what your competitors are doing in digital marketing. And after doing analysis about your competitors you will definitely get an idea that how to squeeze your strategy in a way to maximize your conversion rates. It is a which can be used for monitoring Social media accounts for any brand or business. When you start brainstorming ideas for compelling content to drive more and more quality traffic to your website in terms of SEO campaign, you may need to know what exactly customer wants from the marketplace. And there is only one medium to know this – Social Media platforms because only a single channel won’t tell you where conversations are constantly taking place, so that’s why we require Social Media Platforms. And, now when you all done with your research so here is the time of releasing compelling content to your website which can be done by Outbrain or Taboola. Outbrain/ Taboola are the platforms which can be used to make more engagement to your website through content by relevance to blogs which are being read all over the internet. And, it is all about putting together quality content for SEO or promotion requires a lot of time and resources and it’s even more difficult to get the right audience onto your blog. This tool helps in analyzing what content can perform the best across different topics and among different competitors. Use of this tool is an effective way to increase your business, get qualified leads and attract potential customers. Conclusion: Using all above tool provides you information and a way to go in digital marketing and its significance in marketing strategies. We cannot deny to the fact that social media has created a huge impact on our lives. Every month, new social media platforms are launched. As simple as it may appear, managing such vast number of social media platforms is not that easy. Every platform has its own unique functionality and purposes. Each one requires its sets of strategies and management methods to reach targeted audience. So, being on social media is just a baby step but targeting right audience may be little Tricky. Whenever someone comes around with HOT MARKETING TOOLS topic, we all have a great deal to share. The internet market is over flooded with tools, softwares and extensions for all marketing kinds. If online marketing sounds tough, then there are the 15 FIERY CHROME APPS and TOOLS, you should keep in your arsenal if you want to become master of Social Media. This tool is helpful in your Pinterest Marketing Efforts. It is the official marketing partner of pinterest helping marketers with Bulk Uploads, Calendars scheduling and Multi- Board pin creation.. It have an exclusive feature that it help you to find the Best Time To Send Your Pins for getting best responses from your target audience. When people hear something, they can retain only 10% of that information after some days. However, if you attach a relevant yet attractive image alongwith the information, the retention rate hikes to 60%. This is the reason behind why Digital marketers have started giving preferences to the use of visual content on their blogs. Canva is an awesome tool for creating good and attractive images. You do not need to have a Graphics Designer’s skills. With Canva, you will be capable of creating some great visual content for your blogs and social media websites. They offer a variety of high quality and attractive templates. This tool is so good that it can turn a newbie visual into a professional with minimal efforts and time. The most clean dashboard of Everypost will help you in simplifying your business flow and will work as a booster for your social media marketing. Once you log in to Everypost, you can add accounts and choose which updates to post. You can connect your Facebook, Pinterest, Twitter, LinkedIn, Google+ and Tumblr accounts. The interface is so cool. On the right, you have an amazing feature on the right hand side that lets you pull attractive visuals from many different sources such as Instagram, Flickr, YouTube or Pinterest to create your own artwork for sharing on social media platform to your audience. Everypost gives you option for Posting Right Now or Schedule for Later. Buffer is a most efficient tool which facilitates you with Super Easy Navigation, Simplest Dashboard, Fast Pace. Once you create your account on Buffer, you can choose the social networks you want to work upon with Buffer. Connect to Social Media: On the left hand side, you can add or remove multiple Social Media accounts and connect your Pages, Profiles and Groups within a single second. Content: Once you are done with adding pages, profiles and groups, you can use the Content tab to create amazing and unique content to share with your audience. Analytics : Get accurate and rich reports about your Social Media Marketing Campaigns on Analytics Tab. Use these analytics reports to improve your Social Media Marketing Strategies. Schedule : You can create Custom Posting Schedule with Scheduling Tab. If you want Buffer to automatically post for you, just tell Buffer and choose the frequency of daily posting. Buffer offers the option of automatic posting as well as also determines the Best Timings to Post for your brand based upon the engagement of your audience. Link Shortening : Buffer also gives you Link shortening Feature in the settings tab. The best of Buffer is you can add the Browser Extension or download the Mobile App as well, so you can share the content, you discover online in single go. Although Buffer has availed limited features for Free. But if you will give a try to its free version, you will absolutely love it. Hootsuite is one of the best known Social Media Management Tools, used by millions of social media marketers around the world to market their business in most simplest and efficient way. Once you sign up for Hootsuite and chose a plan, you will be authorized to use variety of facilities. To start on Hootsuite, you need to Add Your Social Media Channels(Facebook, Twitter, LinkedIn, Instagram and Google+). Once you are done with setting them all up, your dashboard displays them all lined up in top left corner. From there you can easily choose the channel you want to post to or you can choose to Send same Content to All Channels. When you decide to create a post and select your channels, to which you want to share that content, you can get all details regarding the character limit of each of the platform. It helps you to give the highest possible audience reach at minimal efforts and cost. You can shorten links, Create Posts, Schedule Posts and Attach Photos and Videos, all within the same tiny dash board. Nuvi is an amazing tool for spying into your audience heads. It works beyond the post which is kept public and allows you to get an insight into all the private posts of your audience. With Nuvi, you can find out everything going on behind the scenes. This information will help you for making market strategies and best Customer Relations. Let us show you how Nuvi is organized. Monitor : Monitoring is trickiest piece of job. With Nuvi you can Track any Keyword, Phrase, hashtag, URL. You can discover posts across top channels including Facebook, Twitter, Google+ and Instagram through aggregate topic data. 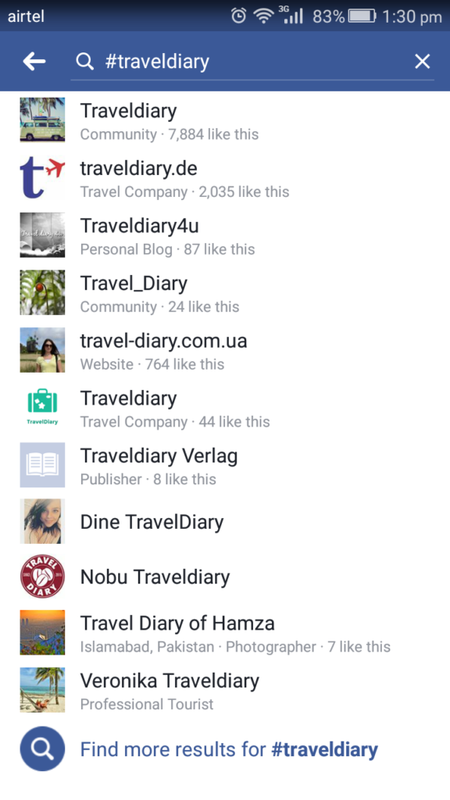 Publish : With this tab, you can schedule a post to hit on your social media channels. Publish and Schedule content across Facebook, Twitter and LinkedIn from one platform. The actual purpose of running a social media marketing campaign is to engage with our target audience and convert them into Clients. If your marketing efforts are not reflected on your company ROI, then you need to have a deep look at your audience, their interest and behaviors on all the social media channels of your company. Crowd Booster is helpful to give a clean and rich analytics report on your social media marketing campaigns and activities. It even can return you reports, by breaking it into, according to different social media platforms. Crowd booster is helpful in understanding the likes, dislikes and interests of your audience with clear demographic and analytics reports. It helps in saving your precious time, spent on reporting. You can Export Graphs and Tables to CSV. Scheduled unlimited tweets posts at optimal times when your most of the audience is online. Finding your most engaged fans and followers. Social Media can become a huge distraction, if you are manually logging into it and sending your business updates to your social media networks, this will end up into wasting a lot a time. These tools are paid but are worth to spend some dollars to improve your business ROI potentially. Start your campaigns incorporated with these tools as your army and work on social media marketing. To Get Connected With Us!